Current bird conservation status denying island farmers ‘realistic’ Glas payment. Pictured on Sherkin Island with Cape Clear in the background are; (L-R) Dermot Kelleher ICSA West Cork chairman, Donie Kelleher, Martin O’Driscoll Sherkin Island, Seamus Sherlock, ICSA rural development chairman and Sean O’Neill, Sherkin. Sherkin and Cape Clear, islands lying South West of Cork, are among places of the country in which the presence of the Clough, a rare bird species, has been recorded. 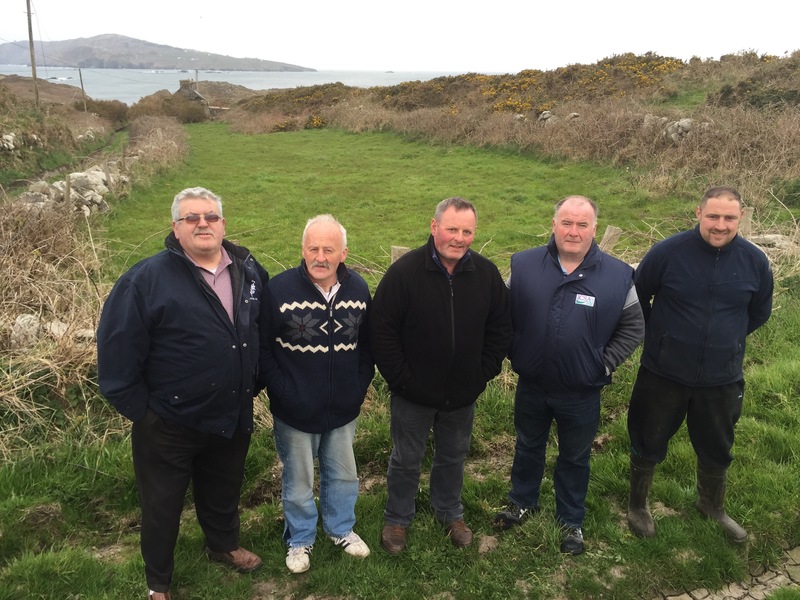 “This means that Sherkin farmers cannot get a realistic payment out of GLAS and ICSA wants to see this situation rectified,” said Mr. Kelleher, after he visited the island with a delegation of ICSA representatives, including the association’s General Secretary, Eddie Punch. Previous PostCourt ruling may see farmers close lands to hill walkersNext PostA party or independent opting for opposition only ‘should never be elected again’ – Bernie O’Hara.